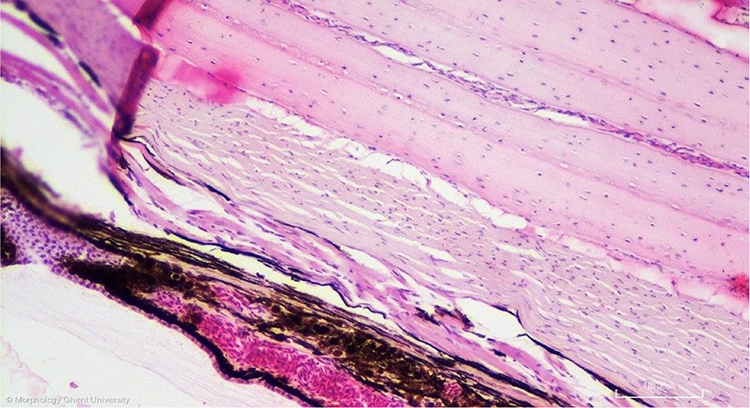 On the micrograph above, the posterior muscle (m. ciliaris posterior) or BrÃ¼ckeâ€™s muscle is shown. This muscle originates at the sclera and inserts on the baseplate of the ciliary body. It pulls the baseplate of the ciliary body forward to change the curvature of the lens.